A man was jailed Thursday on suspicion of stealing a car at knifepoint before fleeing and crashing near an Oceanside intersection, police said Thursday. 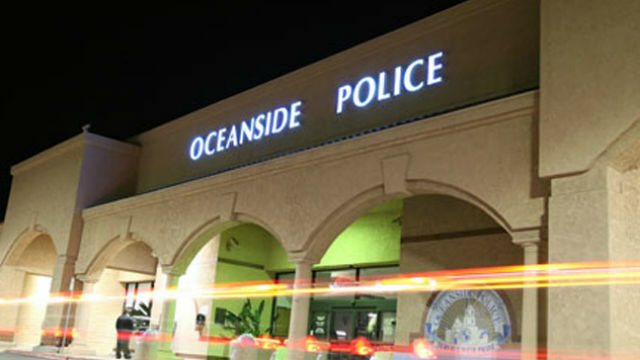 Dispatchers received a report around 10 p.m. Wednesday that a car had been stolen at knifepoint in the 700 block of College Boulevard, Oceanside police Sgt. Nick Nunez said. A short time later, an officer in the area spotted the car, a 2017 Toyota Corolla, but did not pursue the suspect because the officer had another suspect in custody from an unrelated call, Nunez said. The man driving the Toyota apparently spotted the officer’s vehicle and fled at a high speed before crashing near the intersection of Avenida De La Plata and Old Grove Road, Nunez said. Officers responded to the crash scene and took the man into custody without incident, Nunez said. The man, whose name and age were not immediately available, was booked into the Vista Detention Facility on suspicion of carjacking, Nunez said.